Libros de interiorismo y decoración, tienda online. 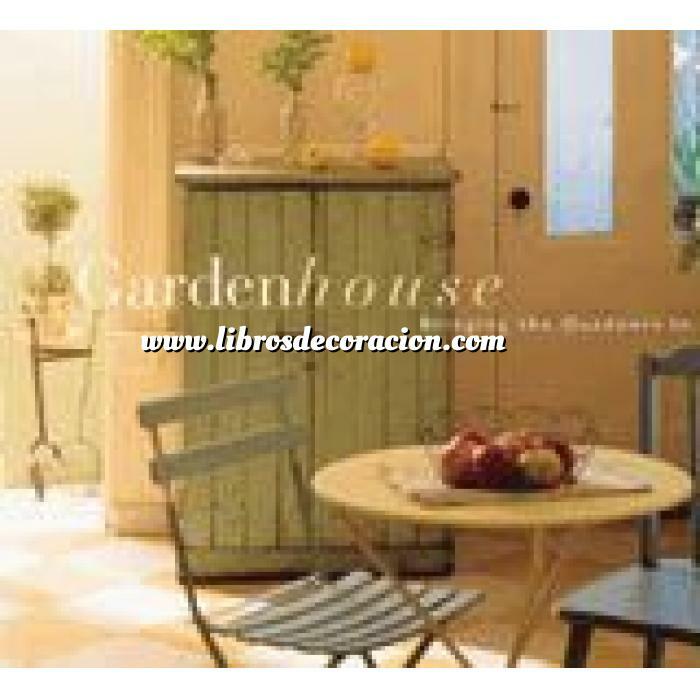 : Decoración e interiorismo - Detalles decorativos - Garden house. bringing the outdoors in. Inicio > Catálogo Decoración e interiorismo > Catálogo Detalles decorativos > Garden house. bringing the outdoors in. Contenido Garden house. bringing the outdoors in. The garden house is a restorative sanctuary that combines the best of indoor comforts with the sunlight and greenery of the outdoors. Lushly photographed, Garden House is an inspirational guide to re-envisioning the home with a gardener's eye. From the simplest of concepts (placing potted aromatic herbs beside the bathtub to perfume a morning shower) to more elaborate ideas (creating an indoor hammock haven for napping in sun-dappled style), Garden House offers ingenious ways to make a place for the spirit of nature inside. It includes an inspiring text and page after wonderful page of innovative touches suitable for any house or apartment. Organized by home activity, such as bathing, working, relaxing, dining, sleeping, and dreaming, Garden House is brimming with original and easily adaptable ideas that will enhance the way you experience home. When did we decide being inside means shutting out the pleasures of nature? It's high time to blend gentle breezes with an air of sophistication.